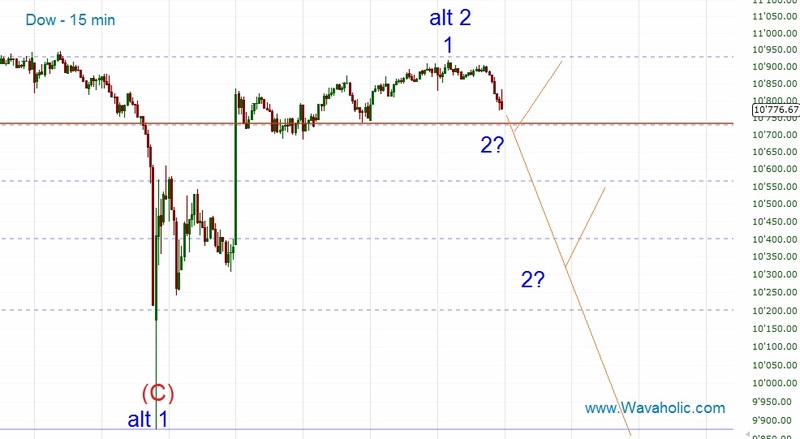 Yesterday's high should have completed Minor wave 1. Possible targets for Minor 2 are around 10700 in the Dow and just below 1150 in the SPX. If we sell off further a gap close seems likely. The bearish scenario is still possible, thus I'm still waiting for a confirmation of either of these secnarios to enter long/short positions.